FEMA is the European federation of national road rider organisations. FEMA represents, defends and promotes motorcycling and the interests of million powered two-wheeler users across Europe. Through its 23 national organisations from 17 countries, FEMA reaches over 300,000 dedicated motorcyclists representing all social groups. FEMA focuses on various topics: safety, environment, transport policy, consumer protection and research. This broad field of interests means that FEMA is extremely active and involved on several fronts. It continuously meets new stakeholders and is in contact with key actors, whether partners from institutions, industry, road users or research bodies. FEMA acts at strategic and institutional levels to ensure direct impact in the drafting of future European and UN policies. FEMA is a key player on the political scene: for nearly 20 years, FEMA has been actively lobbying to promote and defend the use of motorcycles. The Federation has established contacts with Members of the European Parliament, the European Commission, along with national transport representatives and other key political players active at Member States level (Council of Ministers), regarding numerous issues related to motorcycling. FEMA is also becoming a point of reference in motorcycle research. After having finalized three research projects - related to initial rider training and guardrails - on its own, FEMA is currently participating in several European research projects related to motorcycle safety. From the 6Th European research framework programme (FP6), FEMA is an active partner of APROSYS (Advanced PROtection SYStems) and MYMOSA (MotorcYcle and MOtorcyclist Safety - now closed), while from FP7, FEMA is currently participating in the preparation of three new research proposals. The work of the Federation has an impact not only in Europe, but also finds echo worldwide. Thanks to the constant efforts of FEMA members, the Federation of European Motorcyclists’ Associations is increasingly becoming a point of reference for riders and all those interested in motorcycle issues. FEMA’s involvement in research projects guarantees that the user’s point of view is taken into account, and works towards ensuring that research affecting motorcyclists is sound and evidence-based. Furthermore, FEMA provides research projects with its unique expertise as the largest powered two-wheeler user group in Europe, and helps develop a wide expertise and knowledge network on the subject. The European Commission supports the project as part of the 7th Framework Programme for Research. Framework Programmes (FP) are major milestones in EU policies, as they define priorities to the research sector according to the various objectives the EU tries to reach. 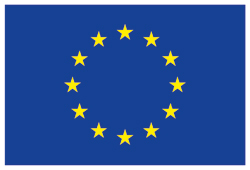 The FPs are the European Union’s main instrument for research funding in Europe. The FP is proposed by the European Commission and adopted by Council and the European Parliament following a co-decision procedure. FPs cover a period of five years with the last year of one FP and the first year of the following FP overlapping. FPs have been implemented since 1984. The Sixth Framework Programme (FP6) covered the period 2003-2008. FP6 aimed to contribute to the creation of a true "European Research Area" (ERA). The Seventh Framework Programme (FP7) is operational as of January 2007. It bundles all research-related EU initiatives together under a common roof playing a crucial role in reaching the goals of growth, competitiveness and employment. It is also a key pillar for the European Research Area (ERA). The broad objectives of FP7 have been grouped into four categories: Cooperation, Ideas, People and Capacities. For each type of objective, there is a specific programme corresponding to the main areas of EU research policy. All specific programmes work together to promote and encourage the creation of European poles of (scientific) excellence. The FP7 budget is 63% higher than the FP6 budget, with a total of 53.2 billion €. ACEM (Association des Constructeurs européens de Motocycles), the Motorcycle Industry in Europe, is the professional body representing the interests and combined skills of 13 powered two wheelers manufacturers producing more than 30 brands, and 15 national associations out of 13 European countries, employing over 150.000 people directly or indirectly. ACEM was created in 1994 by the merger of two Associations of manufacturers of motorised two-wheelers, namely COLIMO (Comité de Liaison de l’Industrie du Motocycle) established in 1962 and composed of eight national associations; and ACEM (Association des Constructeurs Européens de Motocycles) founded in 1990 by the eight main European companies in the field. The role of ACEM has expanded with the development of importance of European legislation and activities within all member countries. Therefore it is essential for ACEM to have a broad view of the complex economy, social, political, technical and legal issues surrounding European integration, regulation, harmonisation and trade. ACEM has been active in promoting solutions to road safety issues faced by motorcyclists, notably in funding the MAIDS study (2005) on in-depth accident analysis, and taking part in the eSum collaborative project (2008-2011) to develop safety countermeasures in urban environments.